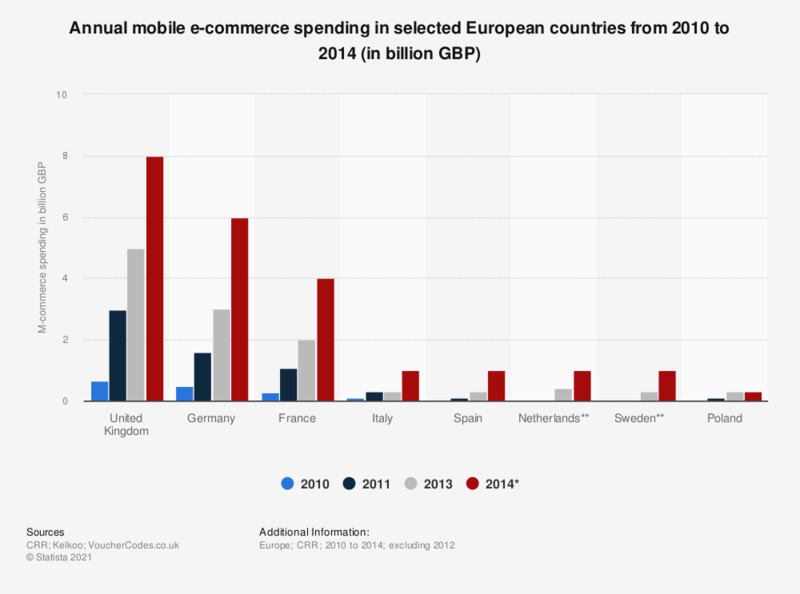 This statistic gives information on the annual mobile e-commerce expenditure in selected European countries from 2010 to 2013, with a forecast to 2014. In 2011, UK m-commerce spending amounted to 2.97 billion British pounds and is expected to reach 8 billion British pounds in 2014. ** No data provided for 2010 and 2011. Data for years previous to 2013 published earlier by the source. Data for 2012 not provided.